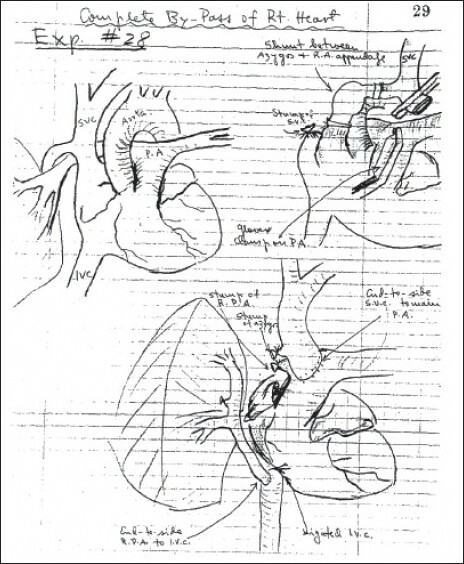 The Fontan circulation results from routing of the systemic venous blood to the pulmonary circulation without a hydraulic source of a ventricle. 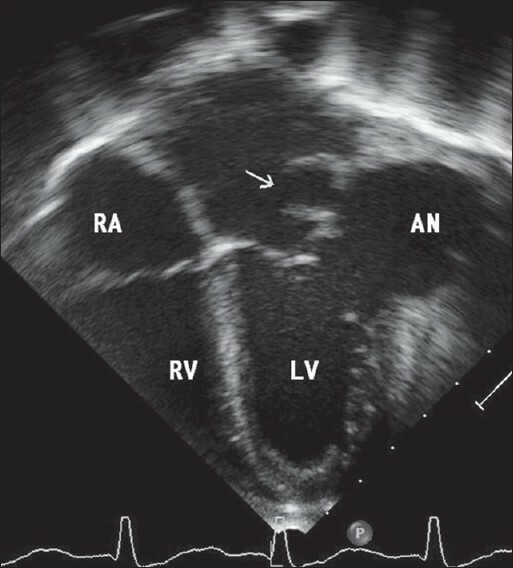 Although a hypertrophied right atrium was thought to be essential for this circulation, the current form of the operation has neither the right atrium nor any valves in the venous circulation that is connected to the pulmonary arteries directly. Modifications in the operative model was one of the early steps in improving outcome. Use of fenestration, staging of Fontan completion and better perioperative management have led to a significant drop in mortality rates in the current era. Despite this, there is late attrition of patients with complications such as arrhythmias, ventricular dysfunction, and unusual clinical syndromes of protein-losing enteropathy (PLE) and plastic bronchitis. Management of failing Fontan includes a detailed hemodynamic and imaging assessment to treat any correctable lesions such as obstruction within the Fontan circuit, early control of arrhythmia and maintenance of sinus rhythm, symptomatic treatment for PLE and plastic bronchitis, manipulation of systemic and pulmonary vascular resistance, and Fontan conversion of less favorable atriopulmonary connection to extra-cardiac total cavopulmonary connection with arrythmia surgery. Cardiac transplantation remains the only successful definitive palliation in the failing Fontan patients. 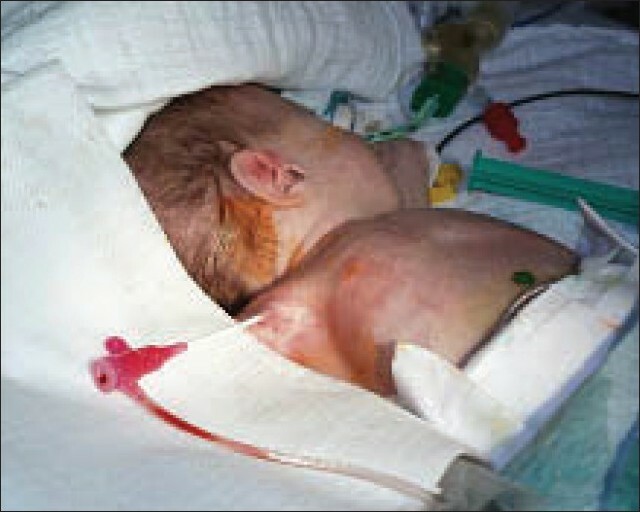 Tetralogy of Fallot (TOF) is an important lesion for all pediatric and congenital heart surgeons. In designing the most appropriate operation for children with TOF, the postoperative physiology should be taken into account, both in the short and long term. The balance between pulmonary stenosis (PS) and pulmonary insufficiency (PI) may be critical for preservation of ventricular function. A unified repair strategy that limits both residual PS and PI is presented, along with supporting experimental evidence, a strategy for dealing with coronary anomalies, and comments regarding best timing of operation. Objectives: To study the blood pressure of school going children in a rural area and its relationship with the anthropometric indices. Methods : A prospective, cross-sectional study was carried out from November 2006 to December 2007 in the school going children between the ages of 6-17 years from eight different schools in the rural areas of Wardha district. The height, weight, systolic blood pressure (SBP), and diastolic blood pressure (DBP) were recorded in both sexes followed by complete clinical examination with special emphasis on cardiovascular system. Hypertension (HT) was defined as SBP or DBP exceeding the 95th percentile for age, gender, and height on at least three separate occasions, 1-3 weeks apart. SPSS software was used to analyze the data. Coefficient correlation tests were employed to assess the relation between BP and anthropometric variables. Results :Of 2643 school children, 1227 were boys and 1416 girls with a male to female ratio of 1:1.16. 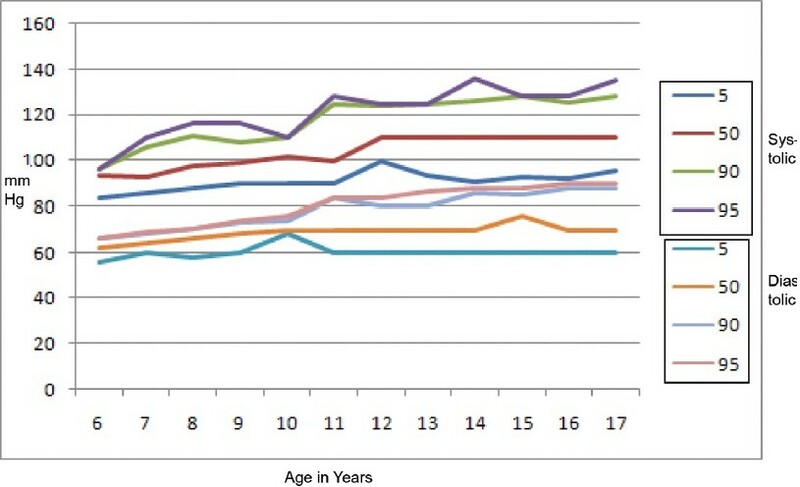 In boys, SBP and DBP increased with age except a marginal decline in SBP at the age of 17 years (-0.09) and decrease in the DBP (-1.29) at 16 years of age. In girls, SBP and DBP also increased with age except at 11 years, wherein there was a mild decrease in SBP (-0.09) as well as the DBP (-0.24). Correlation coefficient analysis showed highly significant positive correlation of height with SBP and DBP. There was a significant correlation of SBP and DBP with the weight, and body mass index (BMI). The prevalence of HT was 5.75% (i.e., 3.25% for systolic HT and 2.49% for diastolic HT). Conclusion : We recommend that there is a need for checking BP to detect HT in children, so that remedial measures can be initiated as early as possible. Pulmonary hypertension due to delay in presentation, diagnosis, referral, and surgery for septal defects is not uncommon in the developing world and translates into high morbidity and mortality following open heart surgery to close these defects. Leaving a small atrial communication may not always be effective. Extracorporeal membrane oxygenation and inhaled nitric oxide therapy in the immediate postoperative phase may not be available or may not be financially feasible in many institutions which are economically challenged. Unidirectional valved patch is emerging as a new and effective solution to this problem and promises to make at least the immediate postoperative results more predictable in this subset of patients. Temporary epicardial pacing is commonly used for the diagnosis and treatment of arrhythmias in the acute post operative period after surgery for congenital heart disease. Temporary epicardial pacemakers have become increasingly sophisticated over the years and have evolved from simple single chamber devices with few programmable parameters to complex dual chamber devices capable of adjustable parameters similar to permanent pacemakers. 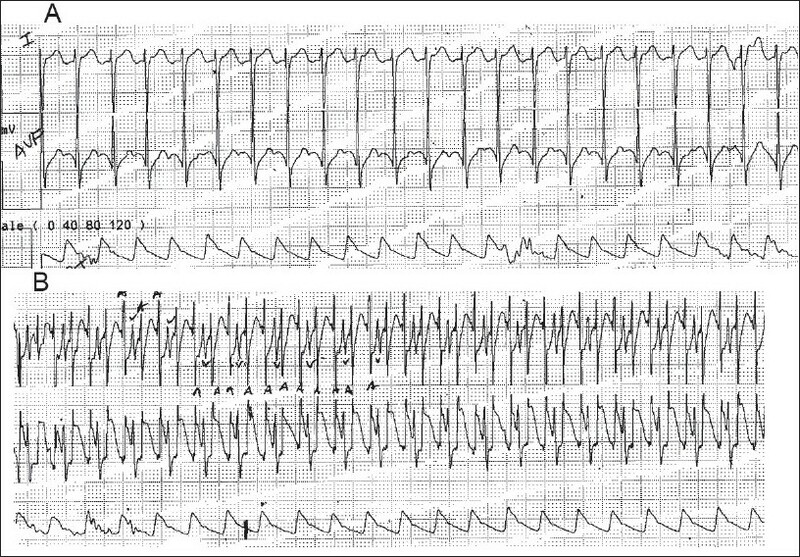 This review will describe the various indications for temporary pacing, technical considerations for both the choice of pacing wires and pacemaker modes, complications with temporary pacing and our current practice with temporary pacing. 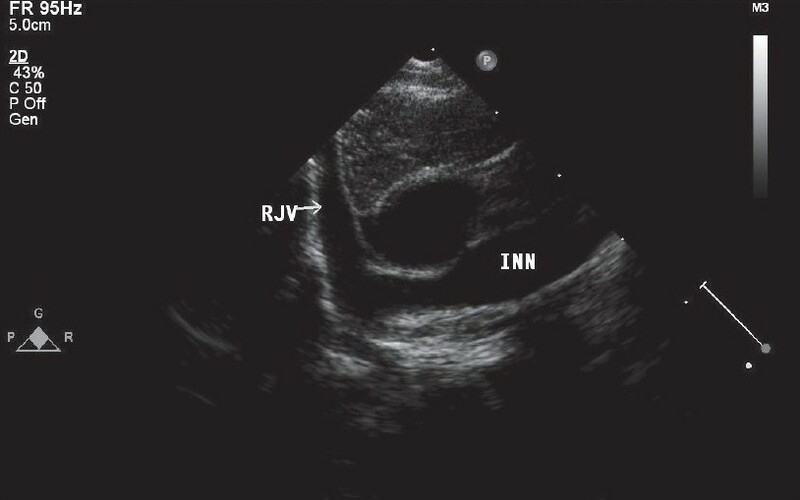 In a retrospective analysis of echocardiograms, the incidence of retroaortic innominate vein was found to be 0.55% amongst children with congenital heart disease. It was most commonly associated with tetralogy of Fallot and right aortic arch. 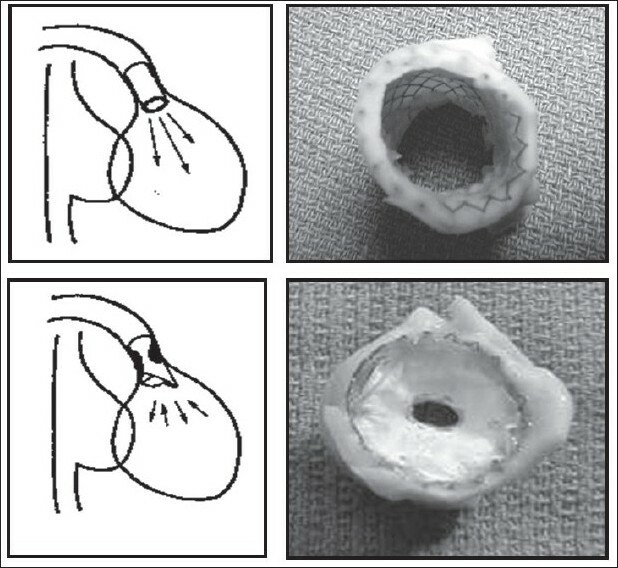 We present illustrative images of submitral aneurysm in a young girl. 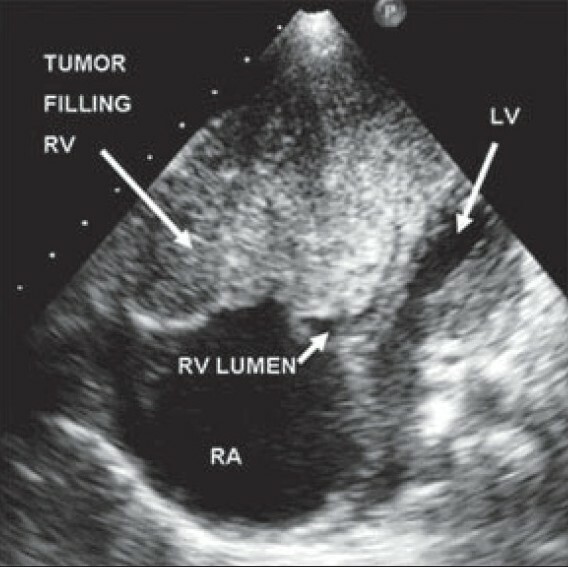 The diagnosis was established on echocardiography and the extent of the problem was defined through multi-detector computerized tomography. 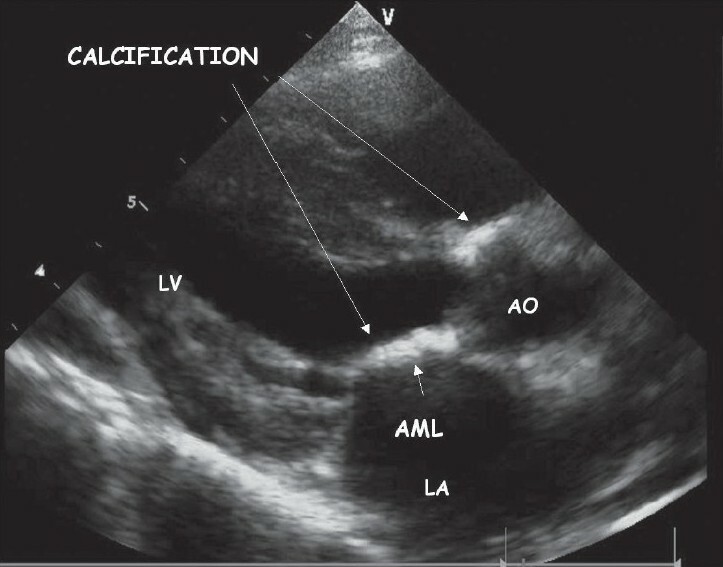 We report a case of intracardiac calcification associated with oculomotor apraxia and corneal deposits in a 12-year-old girl, who presented with dyspnea on exertion, sinusitis, and epistaxis since the age of 6 years. Unusual presentation with multiorgan involvement prompted us to evaluate her in terms of metabolic/storage disorder. 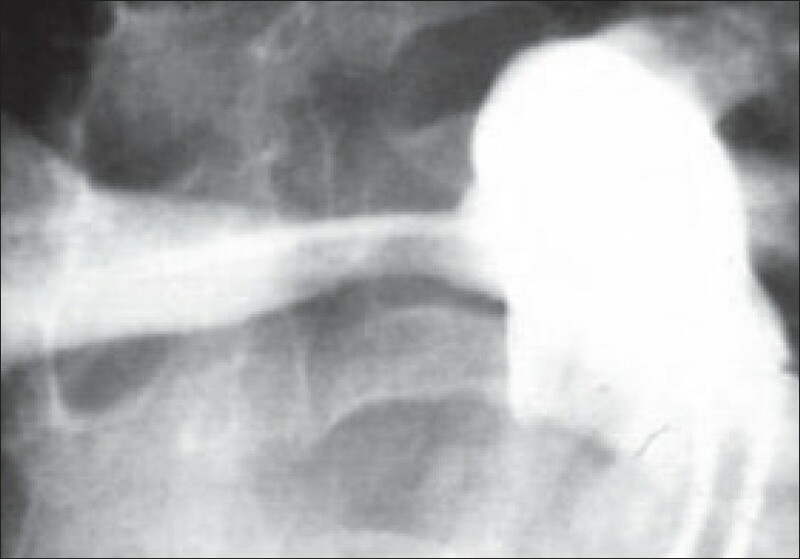 The bone marrow aspirate confirmed the diagnosis of Gaucher's disease. 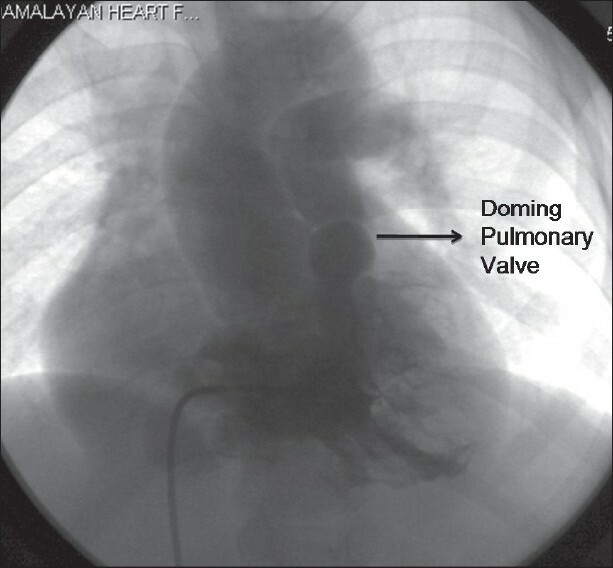 A six-year-old boy presented with a brief history suggestive of right heart failure. 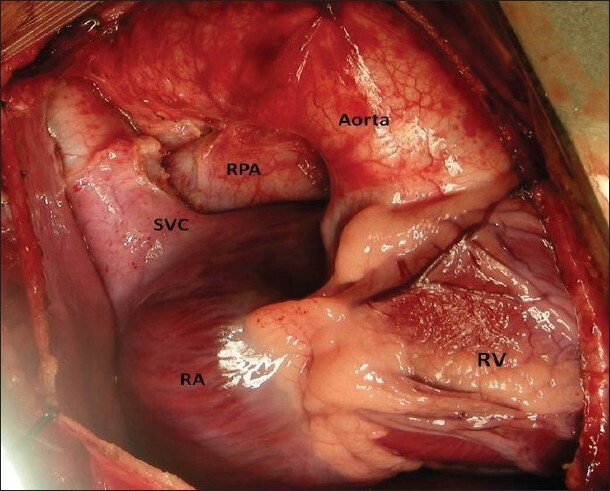 Investigations revealed a mass filling almost the entire right ventricle. Palliative resection of the mass was done. The operative specimen revealed a primary primitive neuroectodermal tumor of the heart, the first of its kind reported in the pediatric age group .